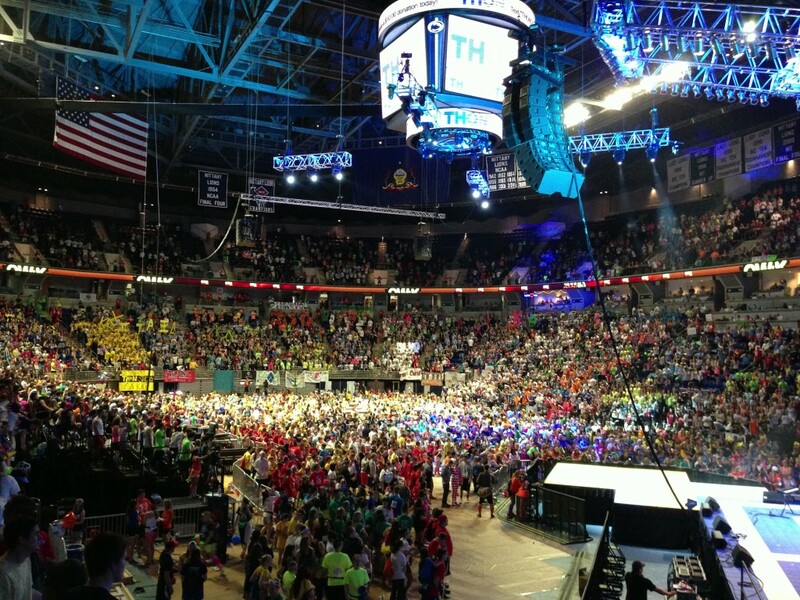 One of the most memorable experiences of 2013 occurred back in February, when I had the opportunity to experience Penn State University’s annual THON event. This event is a 48 hour dance marathon and the largest student-run philanthropy in the world. 2013’s THON raised over $12.37 million dollars for pediatric cancer research. Many thousands of PSU students experience the dance marathon every year but only a few hundred dancers are chosen to partake in the entire event on the dance floor. As an outsider of the PSU community, I felt very lucky to be able to go on the dance floor with a special guest pass to give one of my friends encouragement during the early morning hours of the last night. I also had the opportunity to meet a THON family, who were some of the most optimistic and upbeat people I’ve ever met. I saw more comedians last year than I think I’ve ever seen. In early 2013, Nick Offerman (Ron Swanson from one of my favorite TV shows, Parks and Recreation) performed at the University of Rochester. Later in the year, I saw Daniel Tosh in Seattle and Colin Mochrie & Brad Sherwood at RIT’s Brick City Homecoming. I also met Aisha Tyler at a book signing event in Seattle. Aisha plays Lana on another one of my favorite shows, Archer and is the new host of Whose Line Is It Anyway? I doubt 2014 will be quite as eventful, but it’s definitely possible. I already have tickets to see more of the Whose Line Is It Anyway? regulars in February in Vancouver. Some of my goals for 2014 are very similar to my 2013 goals. This isn’t because I failed at my goals, but because I would like to continue along the same path and improve upon them. 1) Run my 4th marathon. I successfully completed the Seattle Marathon at the beginning of December, but I would love to run a race that’s flatter. 2) Continuing reading & writing more. My focus was on reading last year, so this year I would like to improve my writing skills. I’m already reading more than I did while in college, and I expect this trend to continue. 3) Volunteer more. I did not volunteer as much in 2013 as I would have liked. I set this as a repeat goal for 2014, which I should be able to accomplish as I am already signed up to be an active participant in my company’s 1-1-1 pledge to give back to the Rochester community. I will likely write on this initiative sometime later in the year. 4) Continue learning. Now that I’m no longer in college, most of the things I’m learning have been related to my current job position. This is not a bad thing, but there’s so much more out there that I could be learning. My goal is to at least complete a handful of online courses, and I’m currently signed up for two courses on Coursera that begin later this week. 5) Improve personal web site & other web projects. Work always takes priority over my personal projects, and I’d like to set a goal for myself to devote more time to them this year. It will probably result in me wasting less time doing inconsequential things like browsing Facebook and Twitter, which wouldn’t be a tragedy by any means. I feel like I’ve rambled quite a bit in this post, so it’s time for me to sign off and watch the rest of the Seahawks game. Until next time! As I’m writing this, I’m 36,000 feet in the air, on my way back home to Seattle. No, I didn’t make a typo in the previous statement. I really am flying home. The past few months have been quite a blur. There are so many different topics that I’ve been meaning to discuss since my latest update in March, but it’s been hard for me to devote time to sit down and actually write about them. I’m living in Seattle now. If you would have told me this a year ago, I wouldn’t have believed you. I never expected to ever move to the west coast. I’ve always lived close to home, and I’d be lying if I said I didn’t miss Rochester and my hometown in central Pennsylvania. But you know what? I haven’t regretted a single minute of this decision so far. 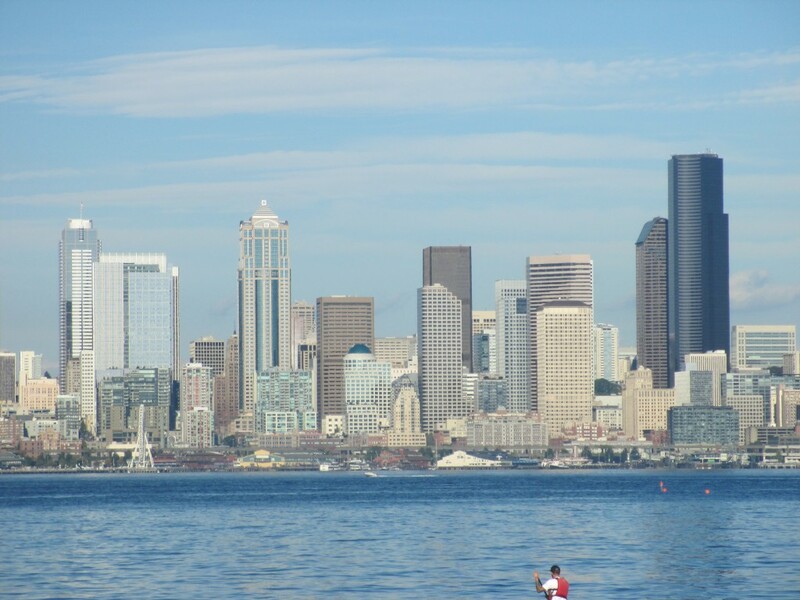 Rochester is a great city, but there is so much more to do and explore in Seattle. And it’s beautiful here. Oh, is it ever. Where else can you go to the beach on an eighty degree day and look out at the snow-capped mountains? Or see a homeless mountain goat while out partying in downtown Capitol Hill? I’m guessing there’s not many places like this. And the available running and biking trails are excellent. It’s an adventurer’s dream. Now, I’m currently on my way back from a work trip in Rochester. That’s right, I still have the same job that I so very much love and enjoy. I miss my friends and family, and haven’t had much time to start making many new friends yet, but I’m confident things will work out with time. Life is great. I guess the point of this post is to remind everybody that it’s okay to take those wild chances and opportunities every once in awhile. Sure, some decisions won’t always turn out the way you wanted them. But you’ll just regret them forever if you don’t take the risk. Author’s note: This post was originally drafted in July, but I’m just now getting around to publishing it. My opinion on Seattle hasn’t changed, though! This year I decided to set several resolutions. I don’t generally make “New Year’s Resolutions” during the first part of a new year, and that’s mainly because the majority of people forget about them a month later (and shouldn’t you be setting goals for yourself ALL of the time?) However, I do like achieving goals and finding new experiences to fulfill my life – so why not come up with a few? 1) Continue running & gym workouts. Running for me isn’t hard, but the gym workouts are something I haven’t been doing much until this winter. I’ve now been a member of the RIT gym for almost 5 months, with plans to renew for another 3 month membership soon. 2) Run another marathon. I ran the Rochester marathon in 2010 and 2011, but did not participate in a marathon in 2012. I haven’t decided what marathon I’ll be running yet, but I am currently training for both a half marathon and duathlon in April that will get me in fairly decent condition. 4) Volunteer more. I haven’t done much volunteering since I graduated RIT in May. I am not quite sure how I will fulfill this goal yet, but I’m sure I’ll know when I find the right opportunity. 5) Become CPR-certified. There was no real reason for this goal other than that I wanted to, and it’s something that everybody should learn. My motivation came about when I learned that the Henrietta Volunteer Ambulance offers the course for free! It’s a good skill to have, and I successfully completed the certificate in February! Those are the plans for now. I’ll post a follow-up by the end of the year to reflect on how successful these goals have been. Now that I’ve written them down and published them to the world, I’ll be more likely to complete them, right?! 2012 was a good year for me and consisted of many monumental changes – for the first time since 1994, I am no longer considered a full-time student. In May 2012, I walked across the stage inside of the Gordon Field House at the Rochester Institute of Technology to accept my diploma for a bachelor’s degree in Information Technology. Just one week later, I began my first full-time job at NimbleUser, a Rochester-based company focused on providing technology solutions to associations. I am currently working as a product developer for NimbleAMS, an Association Management Software application built on the Salesforce platform. The saying that “you never stop learning” is definitely true. In November, I went for the Salesforce Developer certification and successfully passed! It brought back many memories of finals studying, but it was well worth the time and effort. It’s hard to believe that seven months have already gone by since my introduction to the Salesforce world. While 2012 was a great beginning to my career, it was also a good year in other areas of my life. I love traveling (especially when I have friends who live in different parts of the country! ), and I embarked on trips to Toronto, the Bahamas, Washington, D.C., Seattle, and Rhode Island. With the exception of Washington D.C., these are all places that I had never visited previously. 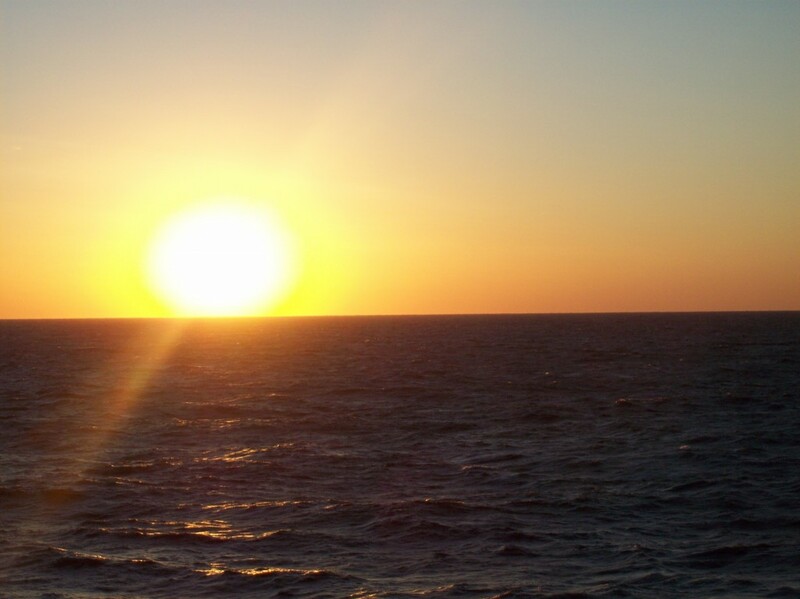 My trip to the Bahamas was through Carnival, and it was the first time that any of us had been on a cruise. My senior year of college also enabled me to get more connected to the Rochester area. During the winter and spring, I participated in a two quarter learning community in conjunction with RIT’s University Community Partnerships and the Bridges to Wellness program in Northeast Rochester. The learning community was comprised of a mix of RIT students and local youth that worked together to produce videos on healthy living through exercise, eating, safety, and effective communication. It was one of the most rewarding and fun experiences of my college years, and I am actively trying to find other ways to stay involved in the Rochester community now that I am no longer a part of the program. It will be hard to beat 2012, but I’m excited to see how the adventures of 2013 will unfold. I have several plans and goals for the upcoming year – as well as a few “New Year’s Resolutions” – of which I will cover in another update soon. Hello and welcome to my web site! There’s not much here yet, but my goal is to have a more concrete web site within the next year.